Playing games: at home or in an indoor playground center? Playing games could be an effective way to escape from daily burdens temporarily and enjoy a moment of leisure and fun. Thus, it is necessary to find a good place that you will not be disturbed by other people. Some people prefer to stay at home and play some computer games, while others suggest that we should go the indoor play center to exercise our body and relax our mind. While as far as I'm concerned, the latter will be a better choice because we are not killing time by playing games, but for a good rest and an escape from daily burdens. Home is a shelter from the outside world, but not a quit suitable place for total relaxation. So an indoor playground center would be more helpful. Above all, the indoor play equipment is capable of creating the best phenomenon for people to relax and enjoy their games. A sense of freedom and happiness will gradually come to people's mind that people can forget about all the sorrow and sadness little by little. The hot and crowded phenomenon makes people forget about their cell phones, thus nothing can disturb their happy day. But if you choose to play games at home, it happens that you might be disturbed by a visitor or by some phone calls. And your relaxation plan will seldom come true because during the holiday, relatives come one after another; sleeping late in the morning seems to be impossible, let alone playing games at home. 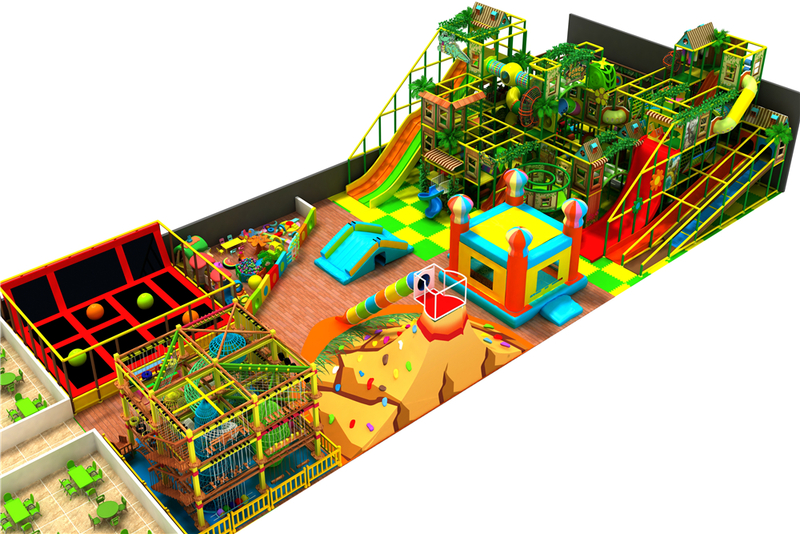 In addition, in the playground equipment, players will be given the opportunity to enjoy using real equipment and keep their body moving instead of sitting in front of computer and moving only their fingers. And it seems that most people feel more tired after playing computer games for too long. Actually, during the holiday, you can invite some of your good friends to play games and chat with them about the challenges you meet at work, and I'm sure it will help you a lot. Though you will also feel tired after having fun in the indoor play center, but it is a way to fulfill your energy so that you can be passionate when back to work. Last but not least, playing games in the indoor playground equipment is also quite a new experience. With the development of modern technology, the playing equipment is totally different from what we have played before. Some of them are funny, some of them are exciting. People's choices also vary from simple ones to complicated ones. Indoor play center now is not only a place for the young; it is a place open for people of all works and of all ages. We can almost say that it will never disappoint you as long as you've made your mind to take a try here. All in all, in spite of the diversified means of creation nowadays, both at home and other places, I still hold the view that playing games in the indoor playground is a good choice for all.